IAMSE – Congratulations to the Master Teacher Award Winner! The International Association of Medical Science Educations (IAMSE) would like to congratulate the winner of the 2017 Master Teacher award. 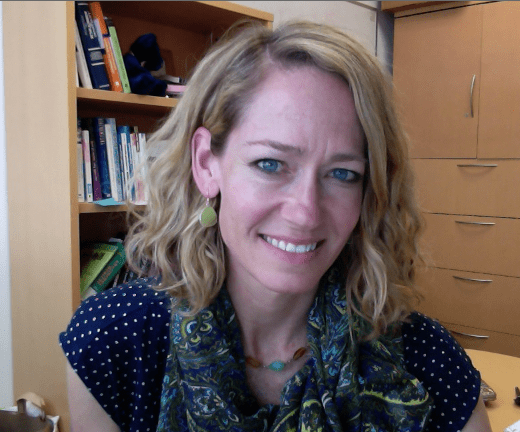 Tracy Fulton has spent the last 23 years at the University of California, San Francisco (UCSF), where she earned her PhD and is professor of Biochemistry and Biophysics. As a grad student, while studying telomerase in yeast, she explored her love for teaching as an adult literacy tutor, an animal museum docent, a K-5 classroom helper, and a TA for dental school biochemistry. She settled on professional school education as her target path and since joining the faculty in 2000 has directed and taught in courses in the Schools of Medicine, Pharmacy, and Dentistry, earning many teaching awards from her students and peers. In the inaugural Bridges medical curriculum, Tracy directs the REGulatioN (Renal, Endocrine, GI, Nutrition) block, and chaired two working groups to establish an assessment system that emphasizes open-ended questions. Tracy is active in IAMSE, past secretary for the Association of Biochemistry Educators (ABE), and co-chairs the NBME Test Material Development Committee for pharmacology and biochemistry. Tracy is on the leadership team for MedU Science, a project involving many IAMSE members focused on use of basic science concepts in clerkship clinical decision-making. She is working with IAMSE/ABE colleagues Janet Lindsley and Tina Cowan on an NBME task force to implement a nationally supported metabolic map as a reference on Step exams. Tracy’s involvement in IAMSE has been pivotal in her professional development; she thanks the organization’s leadership and membership for many of her most rewarding experiences, collaborations, and friendships in education.